When a patient comes into the dental office to see his dentist, he may come in with a problem or he may come with no specific purpose. Regardless of the chief complaint, however, the dentist meets every patient with the goal to meet all his needs, known or otherwise. This means that when you come in with anything, a thorough examination will be carried out to detect the presence of problems, so that a proper address may be forwarded. And when the a patient is inquiring about dental crowns and dental fillings, they are provided to them when there is a definite need. Cracked, chipped, fractured tooth. A tooth may be broken due to various reasons and when this happens a filling could be provided to the tooth. If the break is more severe and more tooth structure have to be replaced, a crown could be provided, instead. Stained or discolored tooth. 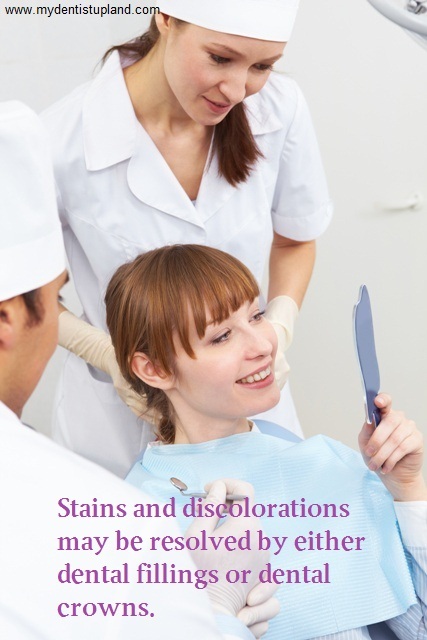 Teeth stains and discolorations may be resolved by either dental fillings or dental crowns. A dental crown will, of course, provide better coverage so you can achieve exemplary aesthetics. Decayed tooth. 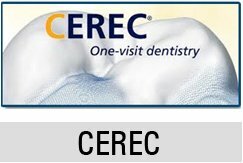 Dental caries is initially resolved by a dental filling. When the problem is addressed during their early stages, a filling is often enough to do the trick. The tooth is cleansed and the decayed tissue is removed so that it may be filled with a resin material. Missing tooth. A missing tooth should be replaced so that the oral cavity may be restored to its full function and when a removable denture is out of the question, North Alta Ave dental crowns that are linked together as a bridgework may be prescribed to the patient. Improperly aligned tooth. Orthodontics usually resolves malocclusion and misalignments, but if a patient would rather ditch the dental braces, he could easily correct minor misalignments by reshaping the tooth with the use of North Alta Ave dental crowns. Misshapen tooth. When a tooth is malformed and is of a different shape that is far from how it should normally be, a dentist can reshape the tooth with a simple filling, but if the reconstruction is more severe, North Alta Ave dental crowns will be the better choice. Root canal treated tooth. After a root canal, the tooth may simply receive North Alta Ave dental fillings so that it may be restored, but if the strength of the tooth is compromised, it may be reinforced with North Alta Ave dental crowns. A crown will afford coverage that will strengthen the tooth and protect it. 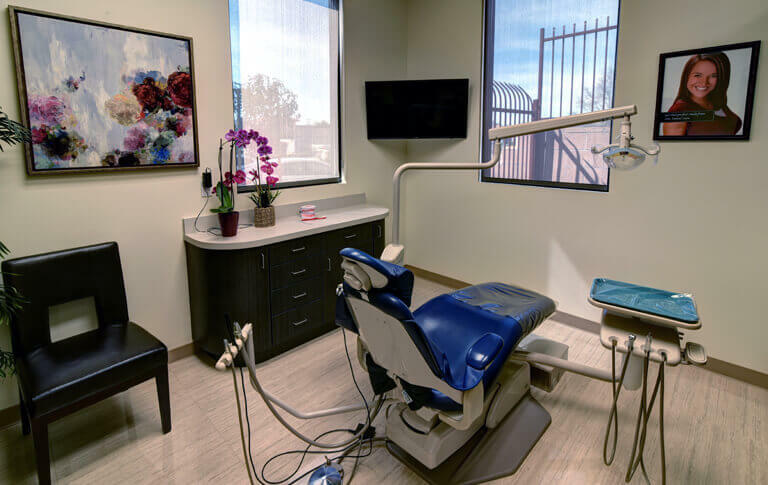 When a patient is faced with a dental issue, he will be offered with options, but ultimately, a patient only receives North Alta Ave dental crowns when he has a true need for it.